Darrel Dan D. Lagasca’s paintings feature a multifarious layering of images and styles, symbolic of the multidimensional identity of our Filipino heritage. Darrel’s work exemplifies this intricacy through the connection between the East and West, the highs and lows of cultural perception, the old and young, the past and present. Diverse and eclectic, his art challenges the viewer to consider current ideas and rethink the familiar. He gives voice to the varied and changing cultural landscape of identity, values, and beliefs of what is old and new. He explores ideas, concepts, questions, and practices that examine the past, describe the present, and imagine the future. His vigor to create exceptional works which combines traditional roots and contemporary art caught the eye of P-Noise organizers in Dansehallerne, Copenhagen. 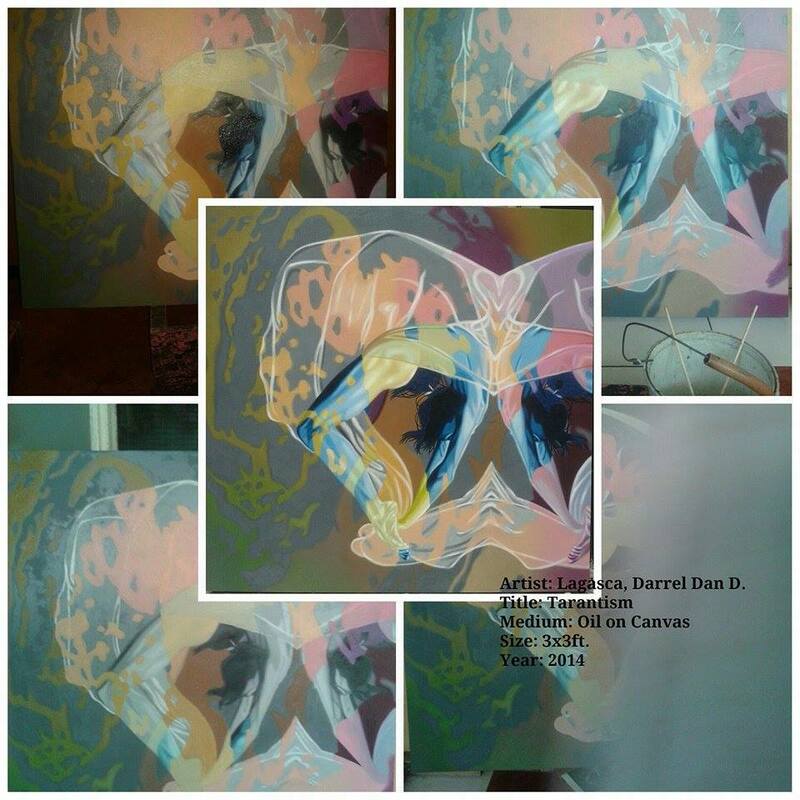 For one day on August 29, he will take part as one of the visual artist at the Gallery Visual Arts Program. P-Noise Festival 2015 is an arts & culture festival that promotes the innovative artists and creative scene coming from the Philippines. 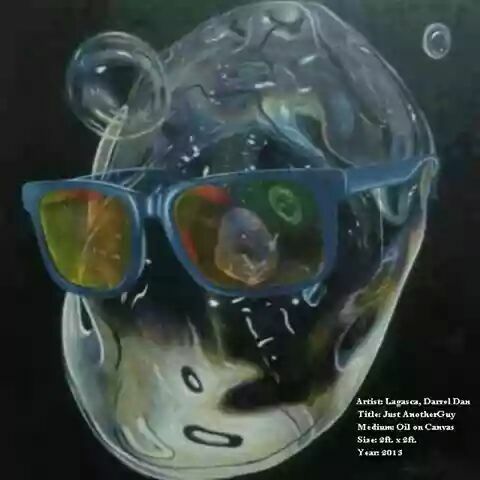 Darrel Lagasca is a versatile artist who hails from Sto. Nino Meycauayan Bulacan, Philippines. He received a Bachelor’s degree in Fine Arts major in Advertising at the University of the East Caloocan. And too pursue his passion in music, he also received another Bachelor’s degree in Music major in violin at the University of the Philippines in Diliman last 2010. In 2008, his documentary “Beneath the Howling Cold White Stone“, a documentary was given the Gawad CCP for film and video award. 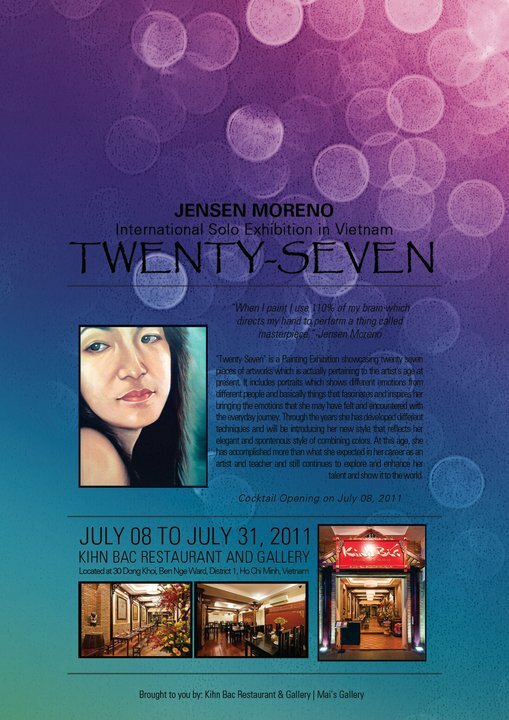 Jensen Moreno’s 2nd solo international painting exhibition is something special especially when it started from a small idea of celebrating her 31st birthday. It was in November 2014 when she met the manager of La Plantation Gallery, Mr. Philippe who then introduced her to Mr. Ma, the co-owner of the Easy Wok restaurant. 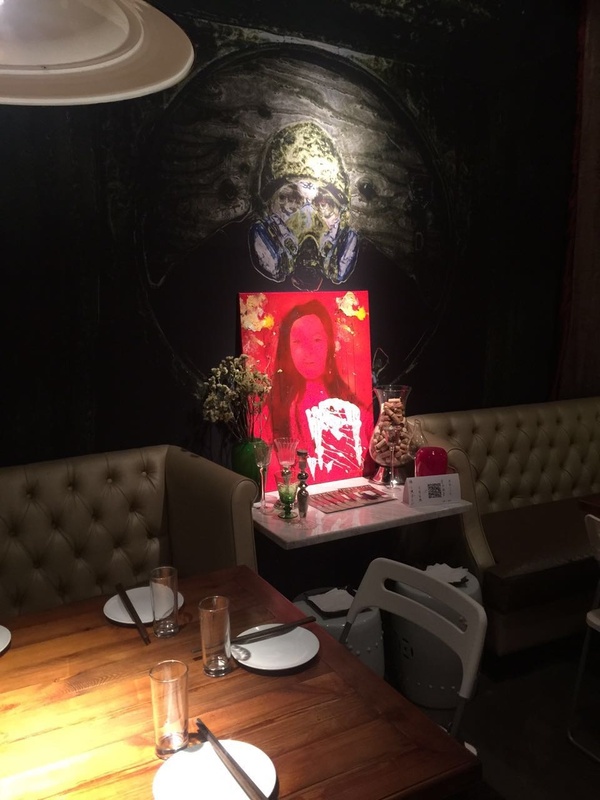 This artistic restaurant is where she had her AHA moment for this exhibit as it has the best of both worlds can offer—good food and a heaping helping of locally sourced art on the walls which captivated her in the beginning. From the words “matter” and “realism,” Matterealism is a new style where she introduces the merging of Realism and the use of the actual matter or materials you see from your reference photo or models stick on the canvas as seen in her self-portrait entitled “Sublime.” Instead of painting the objects, she sticks them on the canvas and combined with a realistic figure. Her concept focuses on two things—beauty and women empowerment. 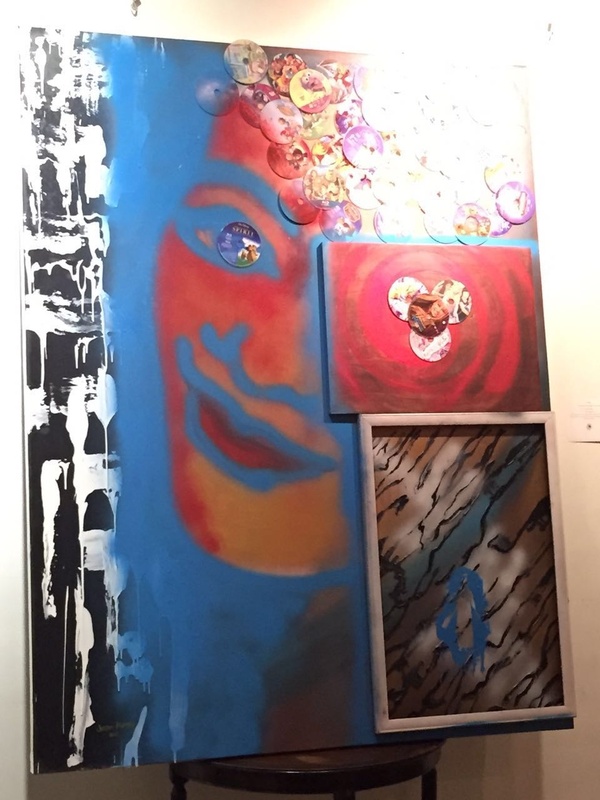 Her art aims to empower women through beauty, brains, and talent to inspire the world. Behind the ART: She met Ms. Mutya Laxa Buensuceso through a dear friend who is now her husband, Jinggoy Buensuceso—way back in 2008 when she was teaching Summer Art Workshops in her hometown Bataan. Ms. Mutya is a Business Leader at Luxasia Philippines, a company that distributes and markets the world’s leading premium beauty brands. On occasion, she dabbles as Founder and Chief Designer to Spinkie, a line of handmade baby essentials, toys and fashion for babies to toddlers. Ms. Mutya is also a mother of two adorable kids, Mayumi (4) and Malaya (3). Behind the ART: “Ellen and I met casually at Blue Bridge office in Lidu managed by Mr. John O. Smith, her partner. Ellen manifests the strength of a young woman who is willing to put herself out there. She is busy preparing for her MA thesis proposal while also managing and writing for a contemporary art blog called opengroundblog.com. 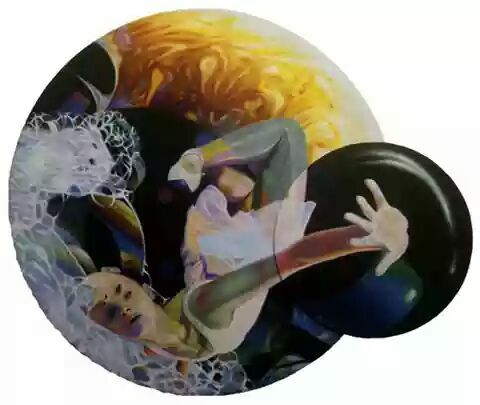 She is also currently working on a piece for LEAP Magazine and will be part of the Second Annual Global Exchange Program for Art Specialists in China, US and Europe. Beijing International Bilingual Academy, Blue Bridge International Education (Mr. John O. Smith), Easy Wok Restaurant, and family & friends of Jensen MorenImages provided by the artist. 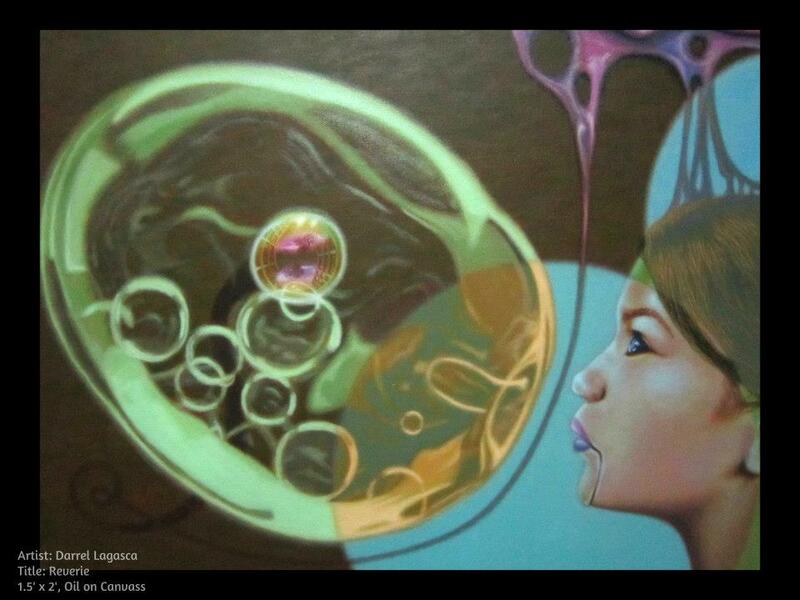 Born on January 21, 1984 in Orion Bataan, Jensen Moreno’s art voyage began in the Philippines. She was excellent and honor student from the beginning who was destined to succeed in art locally and internationally. “Her world is the art class, her class is the art world, and her art is world class,” as quoted by Jonathan Bar-On—an Author and Teacher at Ho Chi Minh City, Vietnam. Her tertiary and post graduate studies began in University of Sto. Thomas (UST) where she took Bachelor in Fine Arts majoring in Painting and proceeded with Master of Fine Arts. She worked as a freelance visual artist, designer, and art tutor who did commissioned work and even managed her own boutique and art studios. She was an art instructor and facilitator in elementary and high schools who also conducted special programs and workshops for all levels of students. Her last stint as a professor was in Mapua Institute of Technology teaching monochromatic freehand drawing, illustration and so on. 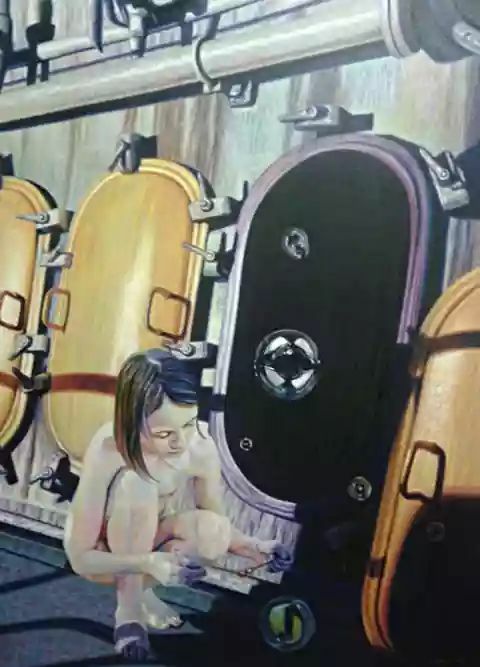 Her former mentor and art collector, Dr. Mendez in fact believed in her talent so much that he bought most of her works while still residing in Manila whom she met last 2009. It is in 2011, she spread her wings further and left for Vietnam. 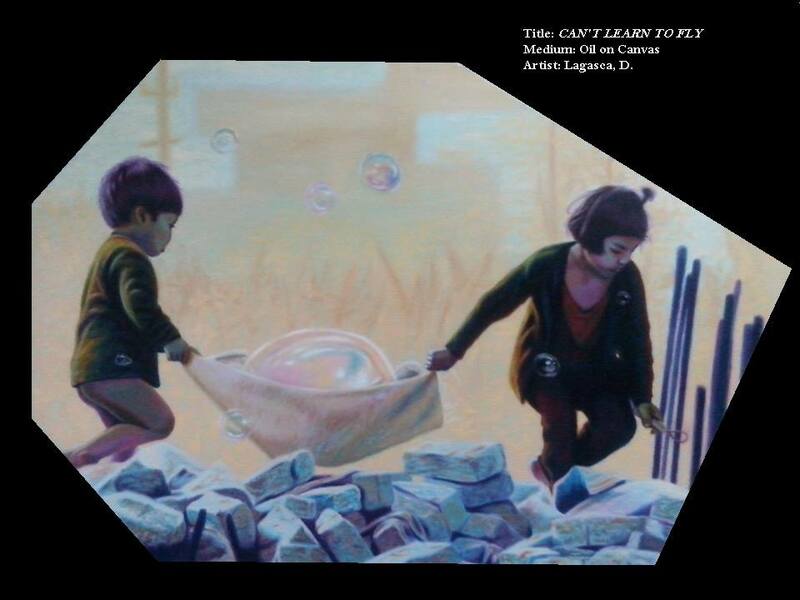 Her Vietnam art journey began when Jensen joined the Vin Space, Trung Khuyen Nhac, and Saigon South International School as a part-time art teacher to kids and adults. Browsing from her iPhoto…this was taken few years ago. This is when she got really emotional. Looking back at those defining moments that lead her to where she is now and saying, what if? Will her journey still be the same if she didn’t take that chance?.. – caption via Facebook. Her successes and activities all bulleted as there are too many—a global Pinay success story. God knows where she will be a few years from now. Truly a multi-gifted artist, designer, and organizer of art. She stunned the local Filipino and international community in Saigon by conducting her first international solo exhibit just a month after she arrived. 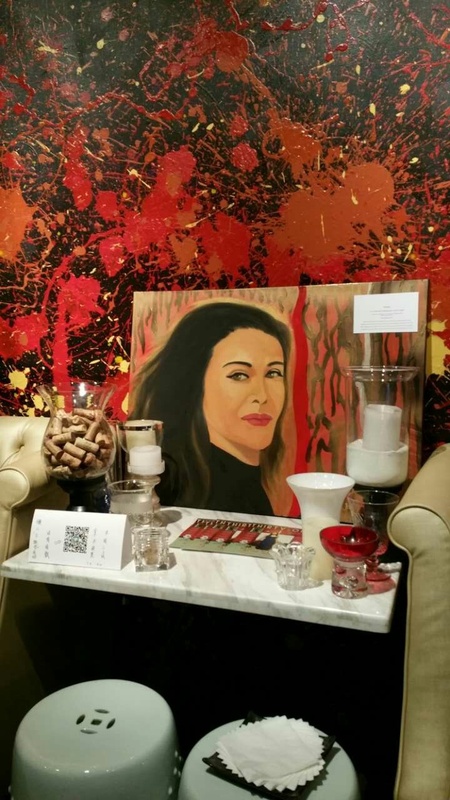 Her exhibition “Twenty-Seven” was held at the Kinh Bac Restaurant and Gallery. 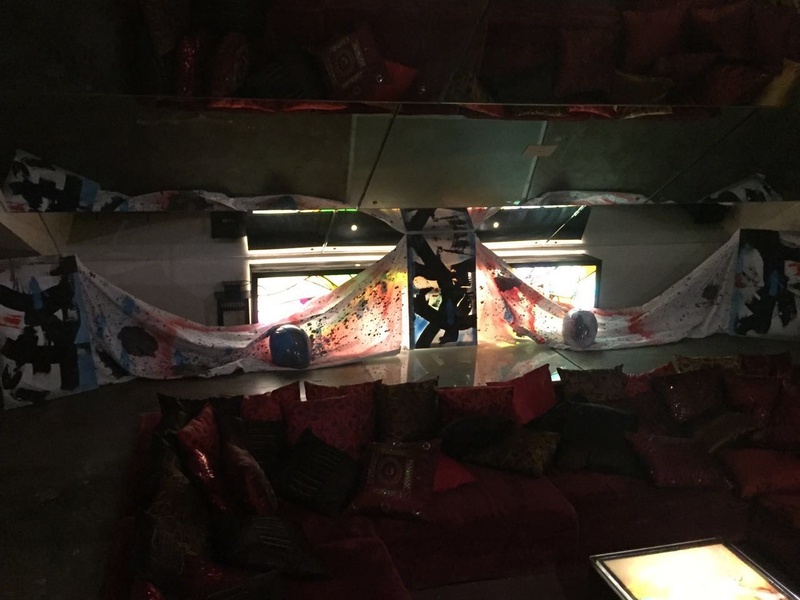 The event was a success and was attended by more than a hundred people on opening night—unforeseen for an artist new to Vietnam. When she joined The American School of Vietnam (TAS) as a faculty member in July of the same year, she showed more of her genius creativity as a designer who makes women’s accessories, clothes. She led two outstanding fashion shows and her Avant Garde Collection of wearable art pieces which is made of recyclable materials impressed the crowd all together. The multi-faceted Jensen was also involved in theatre and school play productions who directed the set and props design team. As an art teacher, she also trained some of her young students for art competitions and because of her guided teachings: one of her 4th grade students won an over-all championship award out of more than 2000 entries. 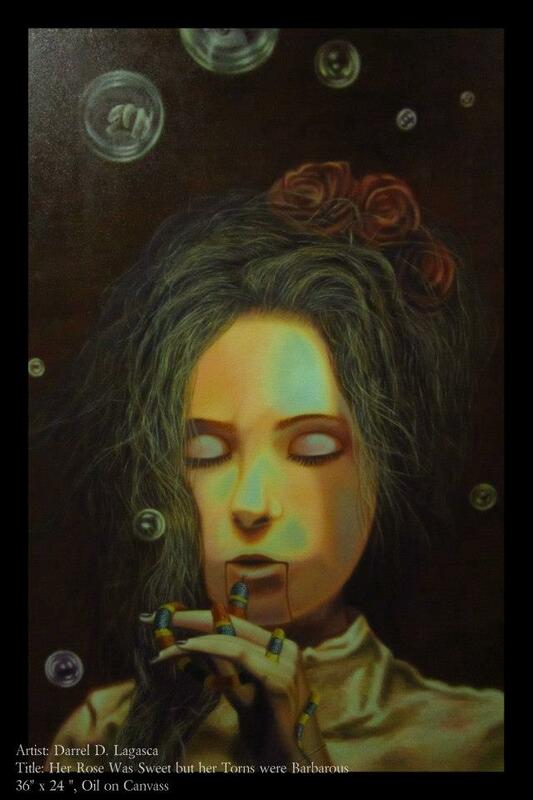 Due to “La Vita e la morte” art exhibition of International Artists in Boomerang Bistro Saigon (last July 2012), she was introduced to more charitable work. This helped her fulfill her goals of reaching out to the less fortunate. She even donated some of her paintings for auction and taught art to disadvantage kids who are afflicted with HIV to benefit the SMILE Group Charity. During that year, Jensen did not stop. 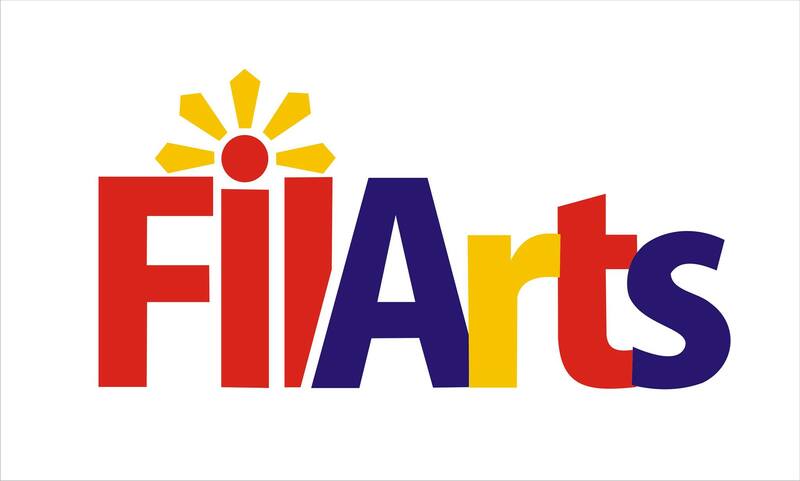 She even helped promote Filipino art and culture internationally by organizing an art exhibition for emerging Filipino artists for the celebration of Philippine Independence. 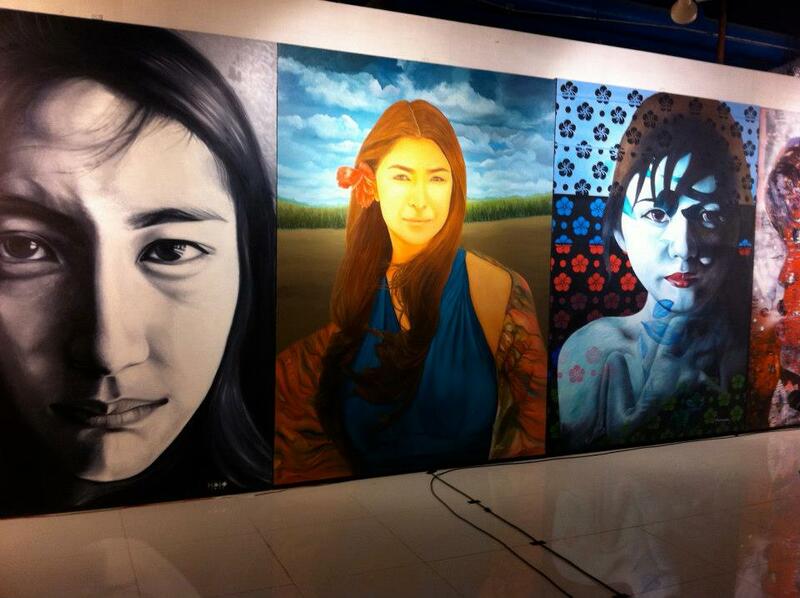 The exhibit entitled, “PinoyAko (I’m a Filipino)” was attended by 30 artists who flew to Vietnam last June of 2012 to showcase incomparable works of art done by our own Filipino talents. All art works were shown in different venues and local and international dignitaries attended the affair: Ho Chi Minh City Museum of Fine Arts, The Equatorial Hotel Saigon, and Intercontinental Hotel Saigon. The exhibition was featured in English Magazines and websites throughout Vietnam. 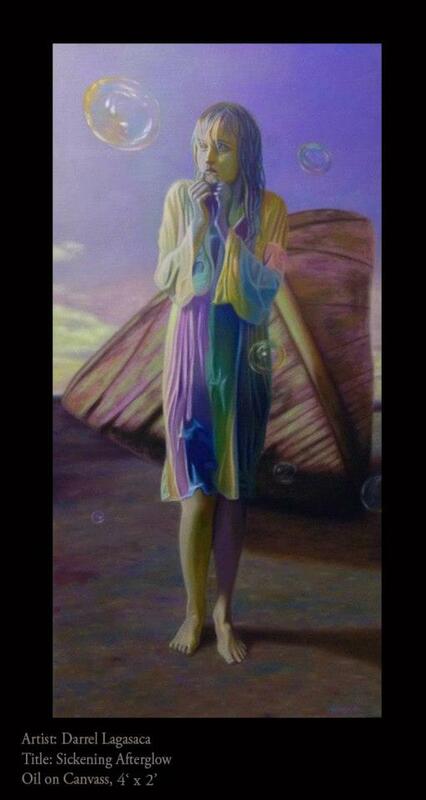 Portrait of Councilor Daisy Reyes-Ms. Philippines World, 6×8 ft. oil on canvas. “In a world where beauty is not all it takes” FIGURAS 5 Art Exhibition,Mendez Big&Small Art Gallery – caption via Facebook. Upon her return to Saigon, she had the privilege to work with Ms. Hoang My Vu, Ms. Vietnam World 2012. 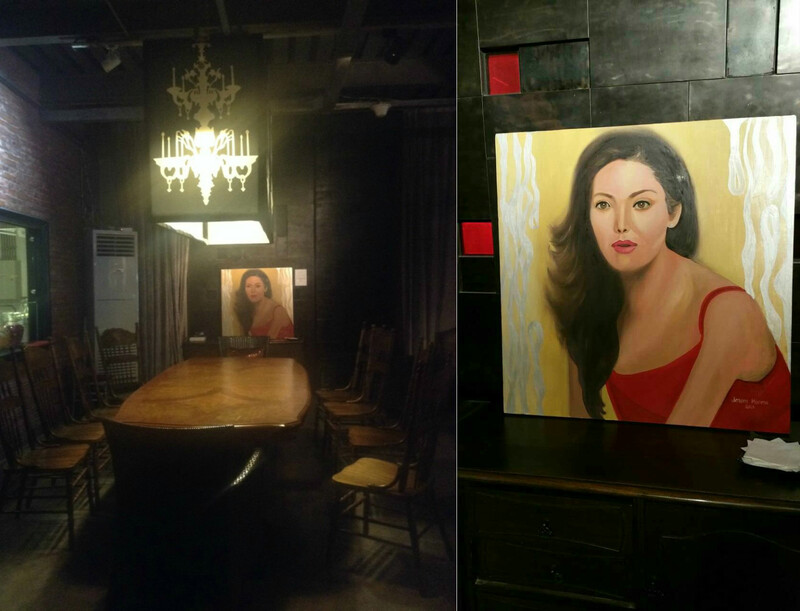 Her masterful portrait of the beauty queen was exhibited at the Philippines-Vietnam Music and Art Show for business and friendship at Hard Rock Café in Saigon. Once again, the art event was well attended by local and Filipino dignitaries including her subject, Ms. Vietnam World, Hoang My Vu. Jensen Moreno finds fulfillment in teaching young minds all she knows about art and to encourage young people to fulfill their creative potential. She also finds equally satisfying producing her own artworks. 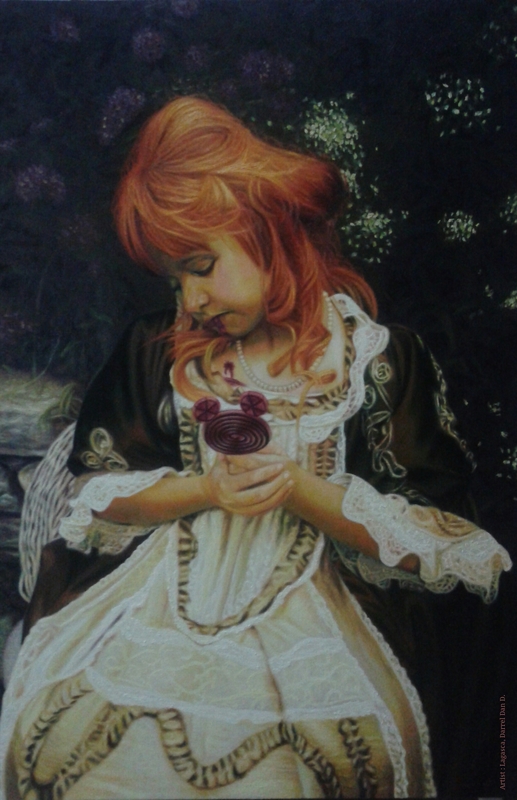 Oil is her medium of choice and although she focuses on seascapes and abstract paintings but it is in portraiture, she found her niche. During her second year at TAS, she taught elective art courses for the high school students and was the organizer in their very first art exhibition which was held in downtown Ho Chi Minh City—a painting auction and performance art was also held at the event. 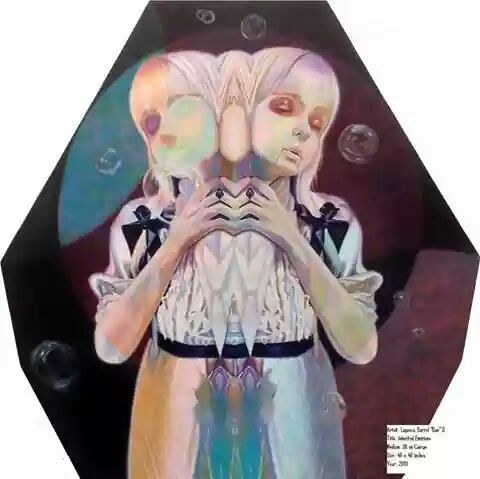 “THIRTY-ONE”, Jensen Moreno’s 2nd international solo show will reveal her newest collection of paintings in Beijing, China on March 21st, Taipei on April 1st, and lastly, Cambodia on July 1st 2015. 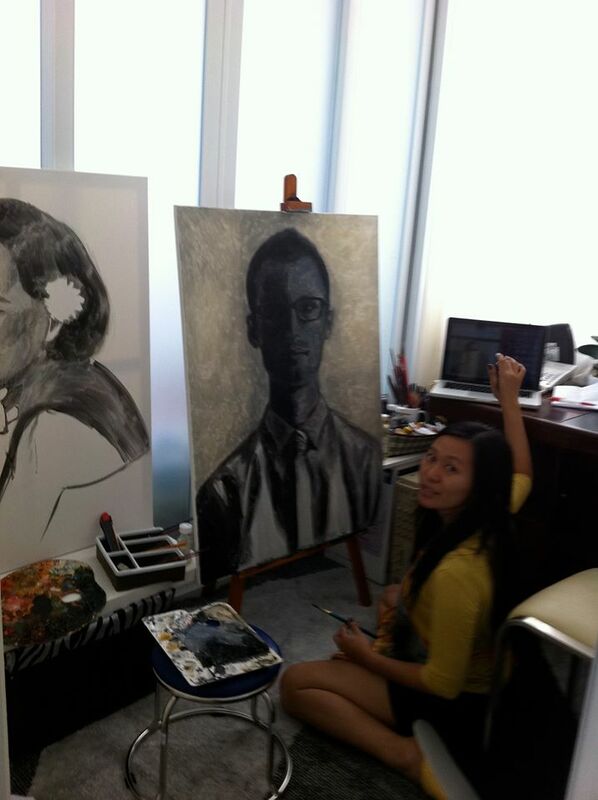 Her passion for teaching and creating art continues in China when she moved on 2013. Her interest in organizing art shows will never stop—as it is in her heart. 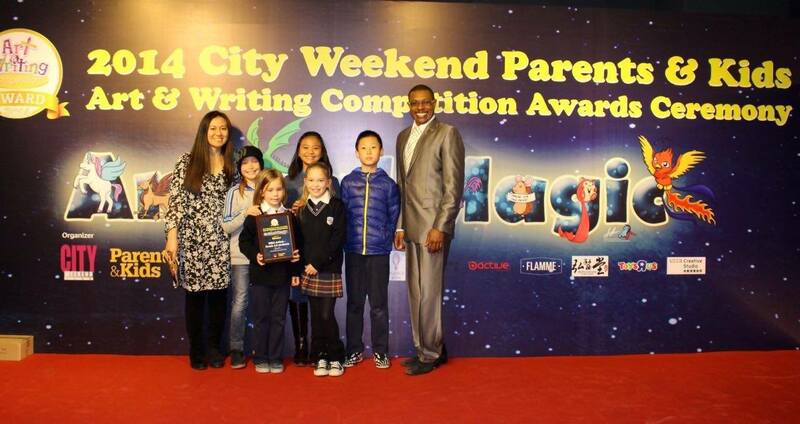 She continued were she taught PYP visual art teacher at the Guangdong Country Garden School. And while in Foshan, Jensen got into film making. She did a little bit of acting and production designing. For the acting part, she learned how to drive a motorbike somewhat precariously. The first short film entitled, “Rumble in the Bronx” was shown as an entry to Swede Fest 2013 in Fresno, California. She then, participated with two more short films, both were Christmas themed. After her stint in Guangdong, Jensen moved to Beijing to become a visual art teacher for Upper elementary at the Beijing International Bilingual Academy. Being in a new environment inspires and motivates her to be her best. She became more involved at her church and also recently organized a performance art event with students from different international schools in Beijing. Congratulations BIBA ARTISTS for winning one of the Honor Awards out of hundreds of entries!!! Way to go my dear students! – caption via Facebook. At the moment, Jensen is enjoying her life as an art teacher. 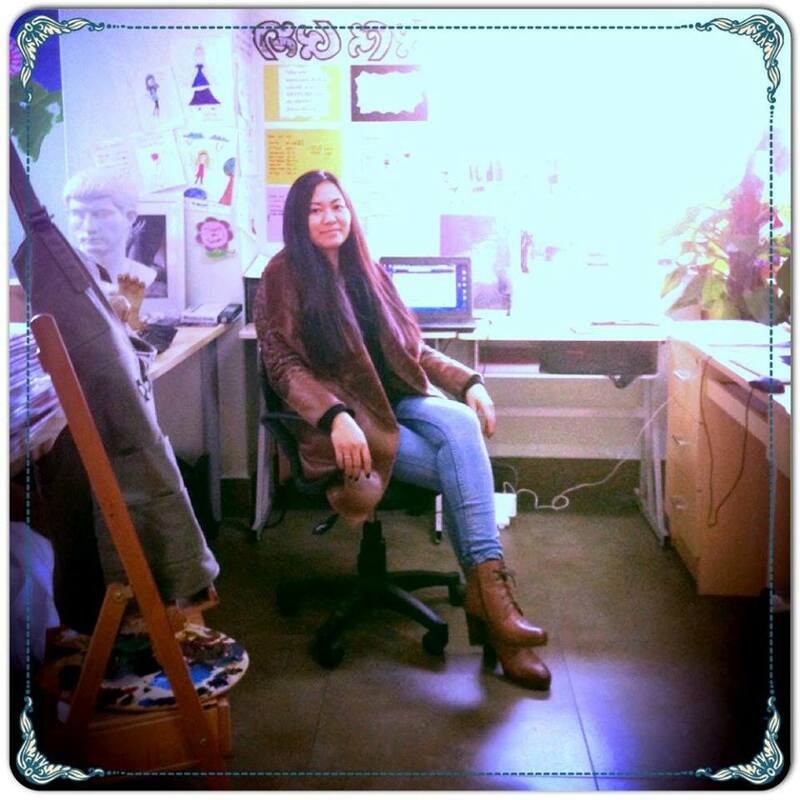 She enjoys creating artworks for art competitions, and exhibiting students’ artworks. She looks forward to spending wonderful years in China both in teaching and creating art. 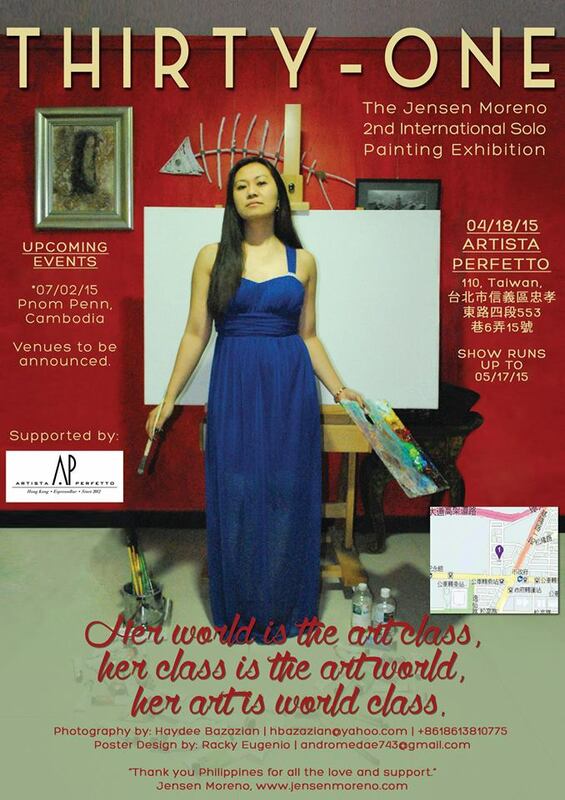 “Her world is the art class, her class is the art world, and her art is world class.” INDEED! Life in Beijing is brilliant. Article Source by Jonathan Bar-On, Author and Teacher at Ho Chi Minh City, Vietnam.